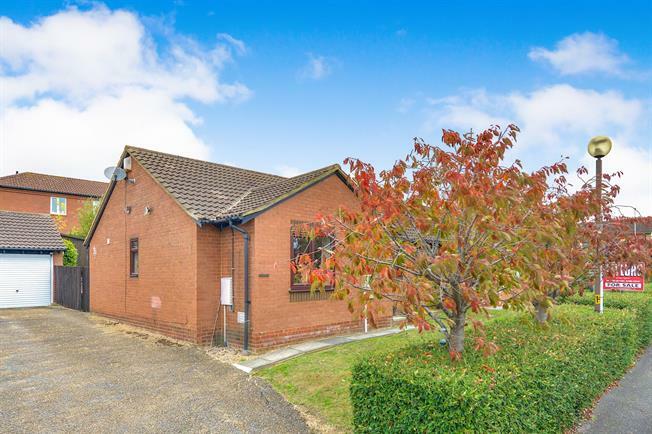 2 Bedroom Semi Detached Bungalow For Sale in Milton Keynes for Asking Price £285,000. Offered in excellent condition throughout, this delightful and much improved semi detached bungalow is situated in the ever popular location of Great Holm, with local shops and parkland all close by. In brief the accommodation comprises of entrance hall, lounge/dining room, kitchen, two bedrooms, bathroom, gardens and garage. Via door leading to entrance hall with built in cupboard and further door to lounge/dining room. Spacious open room with window to front aspect, radiators, TV/FM points and doors to rear lobby and kitchen. Single stainless steel sink and drainer with cupboard under, further range of fully fitted base and eye level units, roll top work surface with tiled surround, built in oven and hob with extractor hood over, integrated fridge and freezer, space for washing machine, window and door to rear garden. Window to front aspect, fitted furniture and radiator. Window to rear aspect, radiator, fitted furniture. Fitted suite comprises of panel bath with mixer tap and shower head over, WC with low level flush, pedestal wash hand basin, tiled to splash back areas, heated towel rail, frosted window to rear aspect, tiled surround. Path leads to front entrance and lawn with driveway alongside providing off road parking and leading to single garage.